Overview: The Lisu people are a Tibeto-Burman ethnic group living today in China's Yunnan Province as well as in mountainous regions of Myanmar, remote country areas of Thailand, and parts of the Indian state of Arunachal Pradesh. 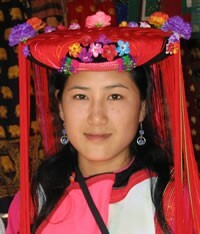 Lisu and Lipo are the two languages spoken by ethnic Lisu. Christianity was introduced to the Lisu in Yunnan Province in 1910 by James Fraser of the China Inland Mission. Today there is a vibrant Lisu church within China and the Lisu are active in evangelizing neighboring people groups.